Having been twice called back from retirement, JoAnne has liked staying in the background having helped open and managed five veterinary practices. 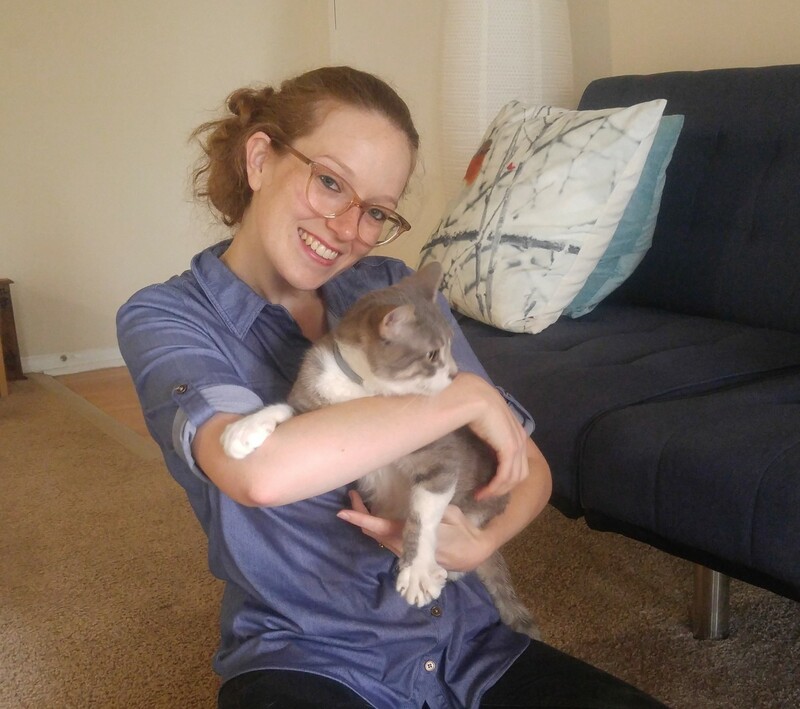 Her position as administrator has allowed her to delight in lots of wonderful cats and dogs, enjoy many interesting and exciting pet owners, and cultivate world-class veterinary teams. Still, she's just as happy at home enjoying family and planning entertainment (such as tea parties) for friends. Kim started working for Dr. Negola on April 16, 2001. When she is not at work, Kim enjoys spending time with her granddaughters or cooking and baking. Whenever she gets to break away, she goes to North Carolina to work on her retirement home. When Kim retires. she will take Damon (the hospital parrot) with her to North Carolina. Elvis already has eight years of experience in the veterinarian field. He started working for Dr. Negola in 2014, in Dr. Negola's previous practice. Together with his wife, son, and two beagle-dachshund-terrier mixes, he lives in Frederick. Whenever Elvis has some extra time to spare, he likes to take his son to the park or play video games. Abii started working at Negola's Animal Care in 2017, when the hospital opened. He loves to play people but goes extra miles when taking care of pets. In his personal time. Abii loves playing tennis. One of his special gifts is that he never ever gets upset, no matter what. Taylor has been working at Negola's Animal Care, LLC. since November, 2017. She is a 23 year old woman with a big heart for animals, especially for rottweilers or pigs. 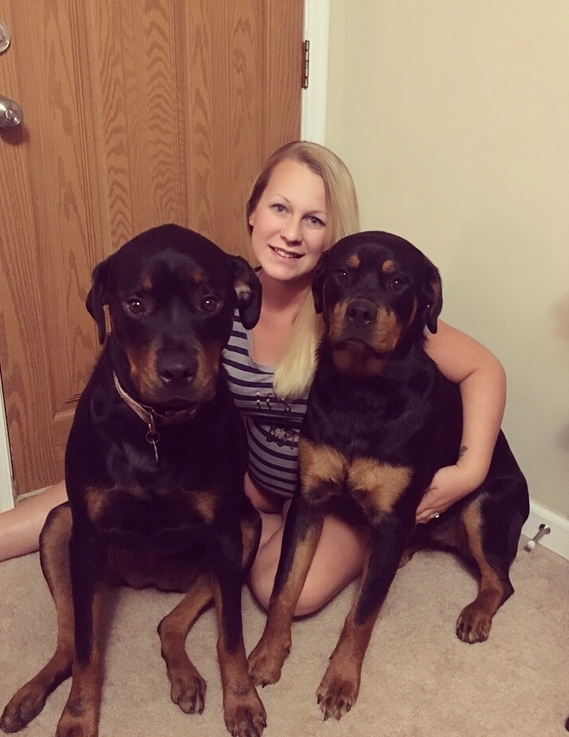 She, her fiancé and their two Rottweilers, Reagan and Remy, currently live in Halethorpe MD. With a newborn and her upcoming wedding, Taylor always brings interesting stories to work. Meg became Dr. Negola's client in 2004. In 2014, she started working at his previous hospital. 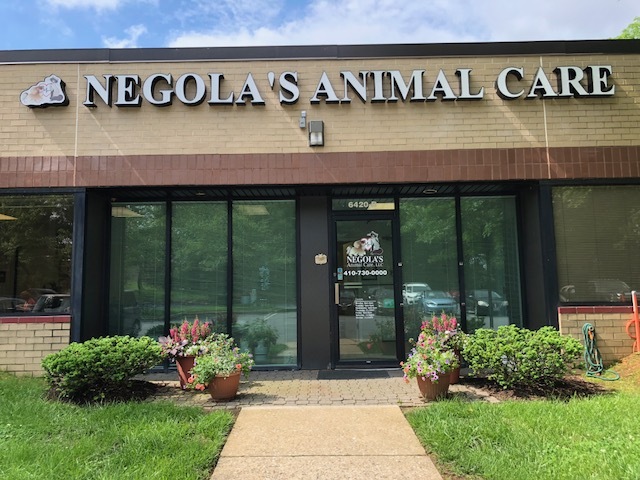 Recently, we reached out to Meg to ask her to help us out at Negola's Animal Care while Taylor is on maternity leave. Meg used to work for a humane organization and volunteered to foster dogs and cats. She herself adopted dogs and cats. On top of that, Meg owns three horses of whom one was adopted as well. 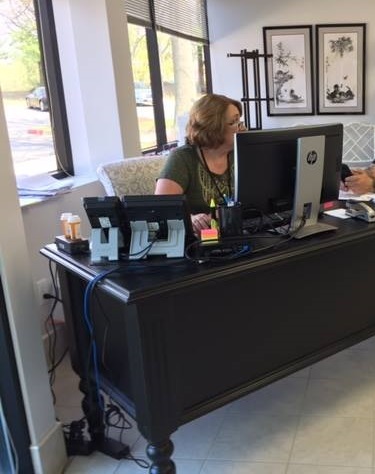 Debbie Catron has worked for Dr. Negola in the administrative area since 1977. She took time off to have children and then returned when they were in school. She retired in 2008 but came back to help open Negola’s Animal Care in 2017. She has had cats and dogs all her life. Presently she and her husband are servants to Dexter and Huey, their two beautiful Birman cats. Marissa, born and raised in Belgium, moved to Gaithersburg in 2017 to start a life with her husband. Marissa became our Administrative Assistant in June 2017. She is currently fostering a cat but is in the process of convincing her husband to adopt him. Marissa loves experimental baking and cooking, and expanding her knowledge. Lidya has been working for Dr. Negola for more than 16 years. She is the one who is responsible for keeping our hospital nice and clean, and she is wonderful at it! Lidya originally is from Mexico, but currently lives in Gaithersburg with her husband and their cat named Tigger. When Damon's first owner passed away, Dr. Negola decided to adopt him. Ever since, Damon has been the hospital bird. He entertains the staff with his whisteling, barking, meowing, answering the phone, etc. Kim is his favorite person, and he is ready to move to North Carolina with her. Damon's favorite food is a Mcdonald's Cheeseburger.